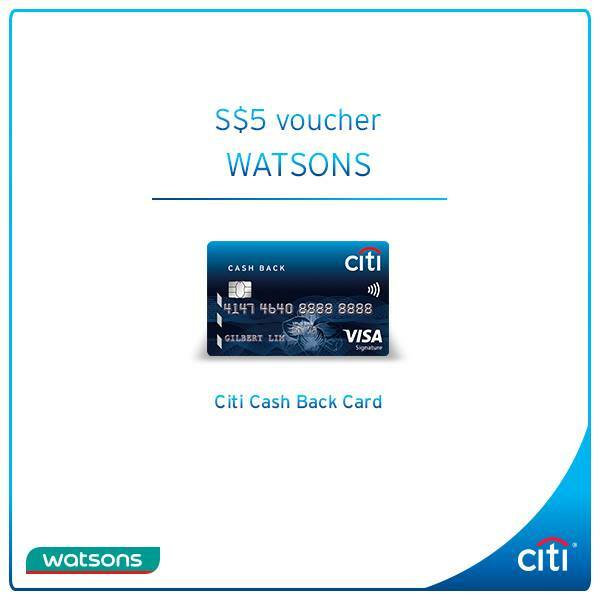 Stock up on your essentials, beauty and health products with Citi Cash Back Card at any Watsons store and get S$5 Watsons return voucher with min. nett spend of S$60. Valid from now till 16 Aug 2017, while stocks last! Previous: [Fitness First] 100AM OPEN HOUSE: How good are your upper-body strength and endurance? Next: [Plaza Singapura] Does your hair lose its life towards the end of the day?